Céard í Bliain na Gaeilge? What is Bliain na Gaeilge? 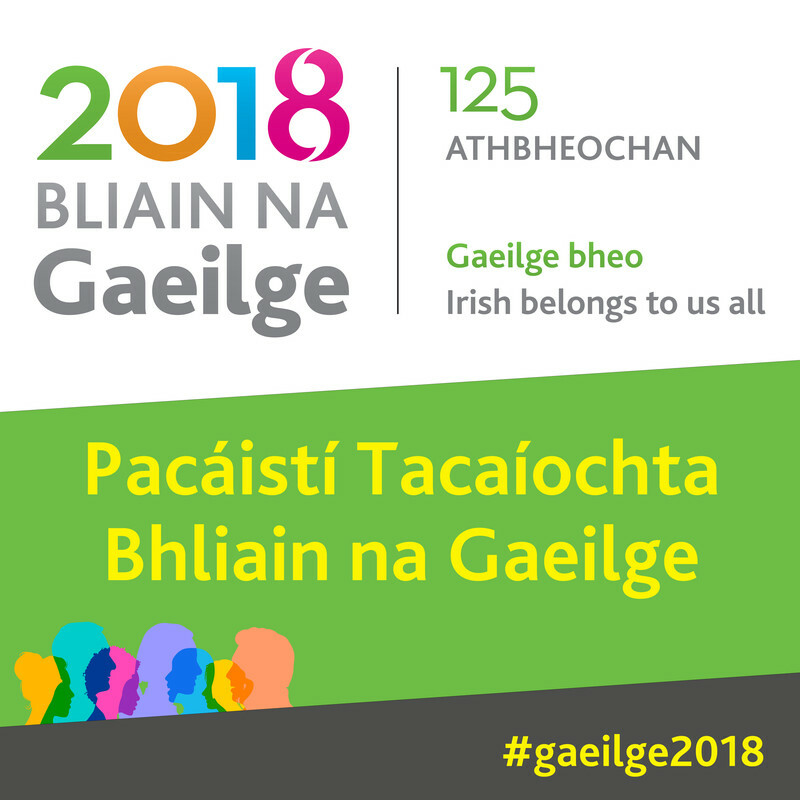 Déanfar ceiliúradh ar an teanga trí ghníomhú ar chúig théama faoi leith le linn Bhliain na Gaeilge 2018: Athbheochan na Gaeilge le 125 bliain anuas; Cruthaíocht na Gaeilge; Beocht na Teanga; Rannpháirtíocht an Phobail; agus Luach ár nGaeltachtaí. 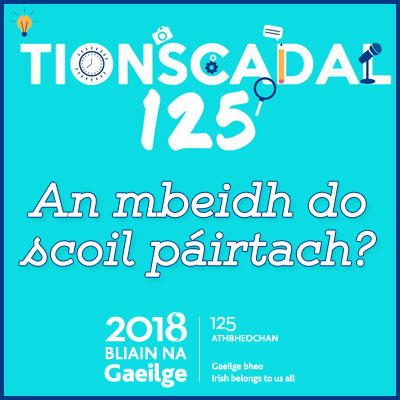 Déanfar tábhacht athbheochan na Gaeilge agus tionchar na hathbheochana sa phobal agus ar imeachtaí stairiúla le 125 bliain anuas a cheiliúradh agus a chraobhscaoileadh. Tá féilire d’imeachtaí ildánacha, ealaíonta agus pobail ar fud an domhain beartaithe do 2018. Cuirfear le líon na n-imeachtaí i rith na bliana, agus tá cúpla eochairthionscadal a leanfaidh ar aghaidh i ndiaidh 2018. Déanfar beocht na teanga a cheiliúradh agus méadófar úsáid, dea-íomhá, feiceálacht, úinéireacht roinnte agus normalú na Gaeilge sa phobal. Spreagfar rannpháirtíocht láidir ón bpobal agus tabharfar aitheantas don obair atá idir lámha leis an nGaeilge a chur chun cinn. Aithneofar luach ár nGaeltachtaí i saol na tíre, spreagfar próifíl agus mórtas a bpobail, agus tabharfar faoi na dúshláin atá rompu sa lá atá inniu ann, len iad a chosaint agus a neartú. 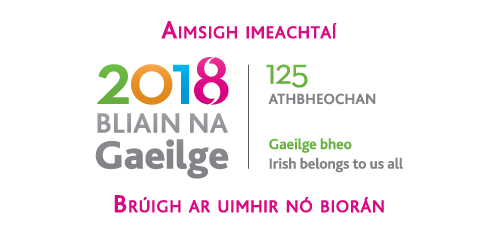 During Bliain na Gaeilge 2018 we will celebrate the Irish language through action on five themes: the revival of the language over the last 125 years; the creativity of the language; the vibrancy of the language; the participation of the community; and the value of our Gaeltachts. We will celebrate and discuss the importance of the Irish language revival and the influence of the revival on communities and on historical events over the last 125 years. We have organised a calendar of creative, artistic and community events around the world in 2018. Further events will be added to the programme during the year, and some key projects will continue after 2018. We will celebrate the vibrancy of the language and increase the usage, positive image, visibility, shared ownership and normalisation of the Irish language in the community. We will encourage strong participation from the community in the year and acknowledge ongoing work to promote the Irish language. We will recognise the unique value of our Gaeltachts to national life, raise the profile and pride of their communities, and take on the unique challenges they face today to ensure their survival and renewal. Cúig rud is féidir a dhéanamh le hullmhú do BEO - Tá féile mhór na nGael ag teannadh linn!